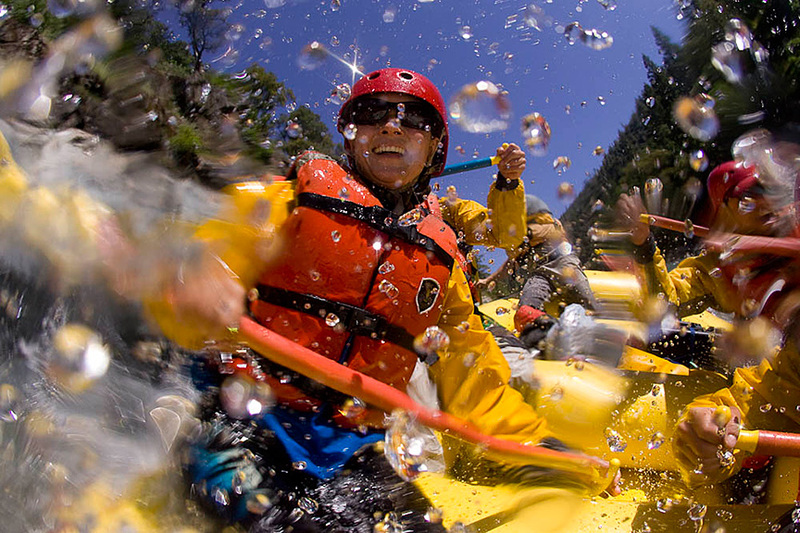 Take advantage of the best spring rafting conditions in more than 20 years! Save 25% on all 1-day California rafting trips during April & May when you book by February 28, 2017. Call 1-800-446-7238 or book online using promo code 25SS2017. 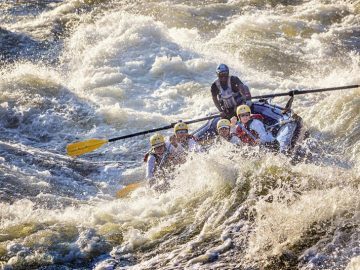 The 2017 rafting season is shaping up to be one of those years river guides will be telling stories about decades from now. Speculation about epic whitewater across the West is all anyone can talk about—especially in California where the snowpack as of early February was the heaviest it’s been in 22 years. That’s good news for a state that’s been plagued by drought in recent years, but even better news for paddlers. 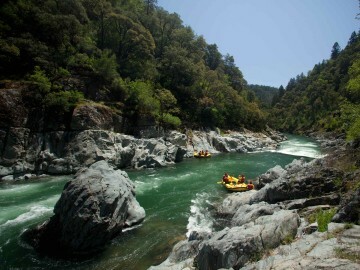 And if you want to find out exactly what has us so excited about California rafting this year, come out and join us for a trip this spring. 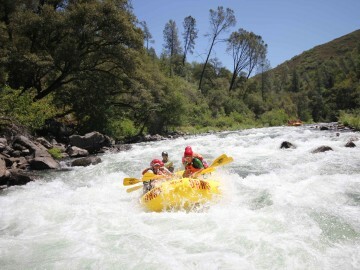 For a limited time, we’re offering a 25% discount on all 1-day California rafting trips during the months of April and May when you book by Friday, February 28. 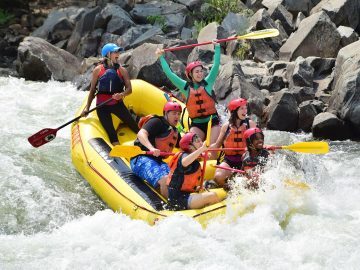 With reservoirs already nearing (or in some cases exceeding) capacity across the state, we’re expecting some of our most popular California rafting trips, like the South Fork of the American near Sacramento and the Wild & Scenic Tuolumne River near Yosemite, to be running at much higher than normal flows. Even if you’ve done these trips with us in the past, trust us, they’re going to be completely different beasts this spring. 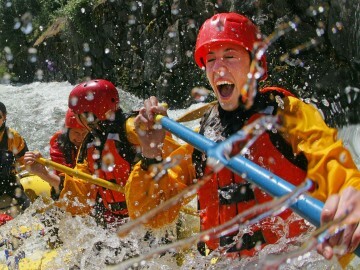 Ask us about combining the Chili Bar & Gorge sections of the South Fork for an action-packed 21 miles of whitewater fun! Meanwhile, on some of the state’s free-flowing rivers, we’re anticipating a big season. 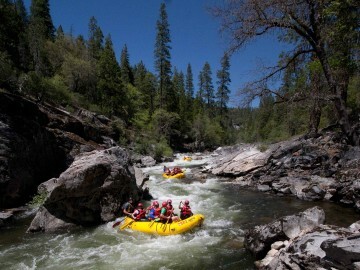 In recent years, we’ve been lucky if we’ve gotten a week or two of rafting (if at all) on the Class IV North Fork of the American River. Often only runnable in April, this year we could be looking at an extended window of raftable flows into June! 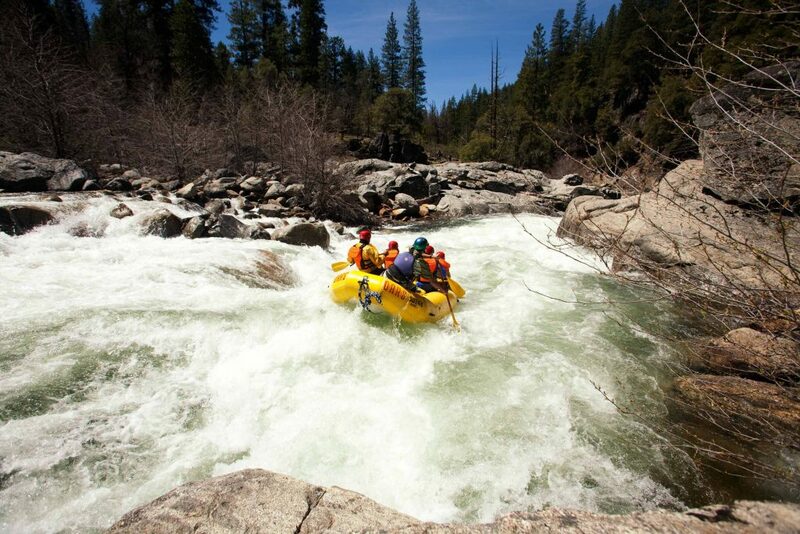 The Wild & Scenic Merced River just outside of Yosemite National Park will be a wild ride early season, as well. 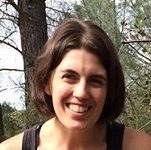 Typically it’s Class III, with several Class IV rapids, but with more water than usual flowing out of the Sierra in April and May, paddlers are likely to experience full-on Class IV conditions with roller coaster wave trains that compare with the rapids in Grand Canyon. 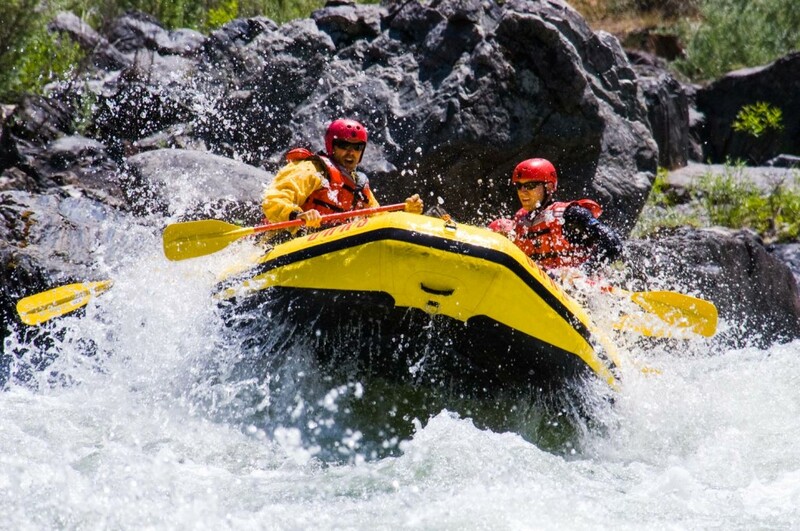 And if you’ve been waiting to catch the elusive North Fork of the Stanislaus, this could be your chance to raft our favorite river in the state. 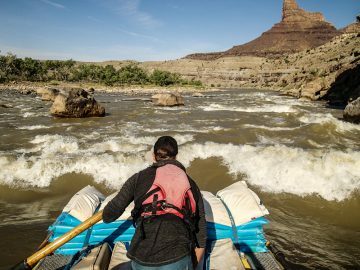 For those who aren’t in the know, the North Stan is a little slice of whitewater heaven that offers virtually non-stop Class IV+ rapids for the most adventurous paddlers. Not to mention, the scenic trip ends in Calaveras Big Trees State Park, home to some of the world’s most spectacular giant sequoia groves. One thing is for sure, you’re not going to want to miss out on the epic whitewater conditions we’re poised for in California this spring and into the summer. Questions? 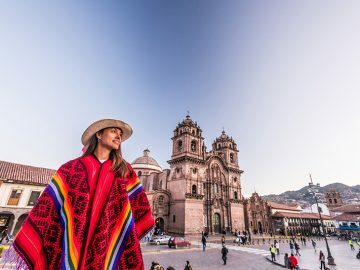 We’re here to help you find the best trip for you and your group. Call 1-800-446-7238 or chat live with us Monday – Friday from 7 a.m. to 6 p.m. PST.